In medium bowl, mix all ingredients except endive and chives until well blended. Spoon or pipe scant tablespoon mixture into each endive leaf. Serve immediately, or cover and refrigerate until serving time. Just before serving, sprinkle with chives. 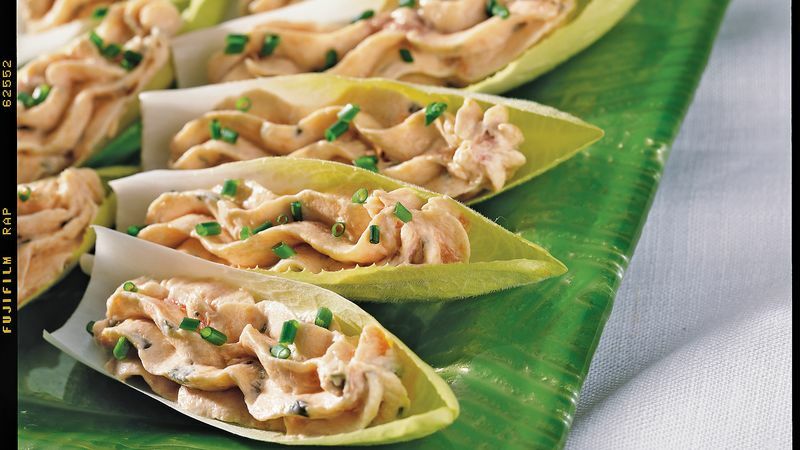 A large open star tip works well if piping the cheese mixture onto the Belgian endive leaves. The star tip adds an artistic touch and works better than a small tip, which will become clogged with the bits of salmon in the cheese mixture.